Ulmo (from the Valarin Ulubôz, Ullubôz via Ulumō) is a fictional character in J. R. R. Tolkien’s Middle-earth legendarium. He first appears in The Silmarillion as a god or Vala (Middle-earth) of the Elven pantheon. Ulmo is a title, which means He who pours. He is also known as King of the Sea and Lord of Waters. 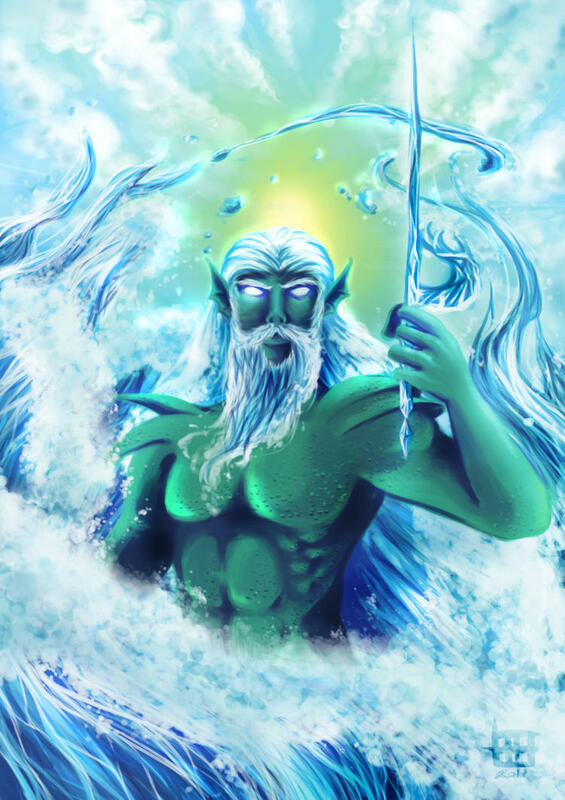 Ulmo is similar to the god Poseidon in Greek mythology, Neptune in Roman mythology, Ægir in Norse Mythology, and Manannan in Celtic Mythology. Ulmo was one of the chief architects of Arda (the world). Ulmo was third in majesty of the Valar, after Manwë and Aulë; in other words, he was the third of the Aratar. He was very close friends with Manwë. Before the creation of Earth (Arda) when the Ainur sang to their father Ilúvatar, Ulmo was the best singer and maker of music. This translates into the fluidity and versatility of water on Earth, blending with air to form clouds, freezing into ice, running on rivers and mixing in with all aspects of life and landscape. The Elves owe their skill in music to the early teachings of Ulmo and recognize his melodies in the running of streams and rivers as well as the beating of the waves on the sea. Ulmo had always distrusted Melkor, and the Dark Lord feared the Sea almost as much as he feared Varda, because neither could be tamed. Ulmo had no dwelling in Valinor, and went there only rarely, or any permanent dwelling on land as he preferred the deeps of the seas and the rivers. 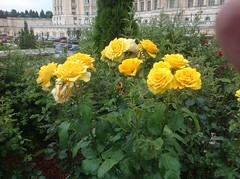 His palace, on the bottom of Vaiya, was called Ulmonan. He was never married, which added to his isolation. He seldom came to the Councils of Máhanaxar, and only when in great need. He preferred to stay in Arda, not by walking on the land, as his form would fill Man or Elf with great dread. 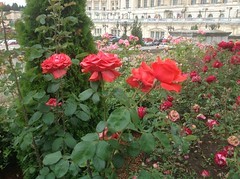 All waters were under his government; bays, rivers and even the waters under the earth. It is through these that he kept in touch with Arda, and thus knew more of the goings on with the Children of Ilúvatar than even Manwë, for it was said he lived in the very veins of the world. He was said to be fearful to look upon to mortal eye, dressed like a giant wave in glittering green armour, blowing his great horns the Ulumúri. Ulmo’s vassal Ossë, and Ossë’s wife Uinen were (along with Melian), to the Elves, the best known of the Maiar. Through them Ulmo would learn much of the Elves. 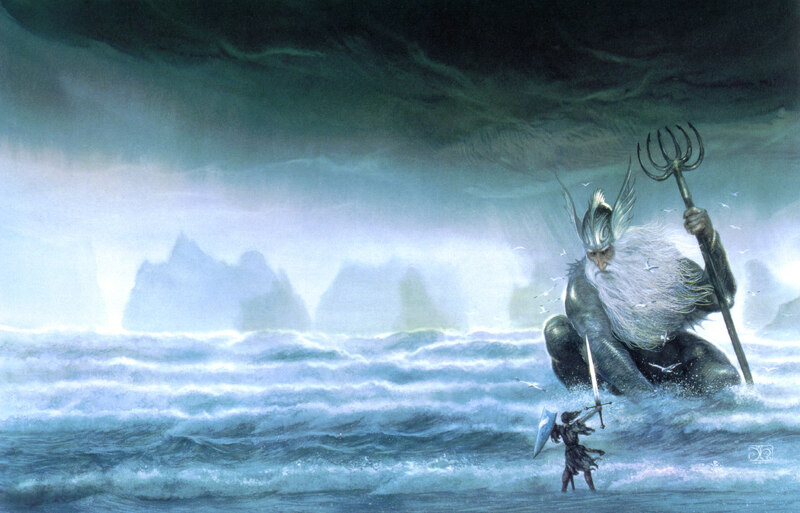 Ulmo had always loved both the Eldar and the Edain, and during the Exile kept the elves ever in his thoughts for though the Valar waited for the appointed time to assail Morgoth Ulmo who had not been fooled by Morgoth during his freedom in Valinor still brought council to those east of Aman. He opposed Oromë’s plan to bring the Elves to Aman, and ordered Tol Eressëa to be anchored in the Bay of Eldamar, which he did because he knew the minds of the Teleri. Ulmo was the Vala most responsible for the fall of Morgoth, by urging Turgon to build Gondolin and Finrod to build Nargothrond. He appeared before Tuor and urged him to go to Gondolin as a messenger to Turgon; when he got there he eventually married Turgon’s daughter Idril and fathered Eärendil; Ulmo saved Eärendil’s wife Elwing from the sack of the Havens of Sirion, allowing her to take a Silmaril to her husband, which allowed him to gain admittance to Valinor and plead for aid. Ulmo also defended them in the council from the potential wrath of Mandos.